Throughout the 1900’s the diamonds were the dominant force when it came to be adorning oneself with luxurious form of jewellery. However, the generation who are a part of the millennial age group are open to wearing different forms of precious stones. 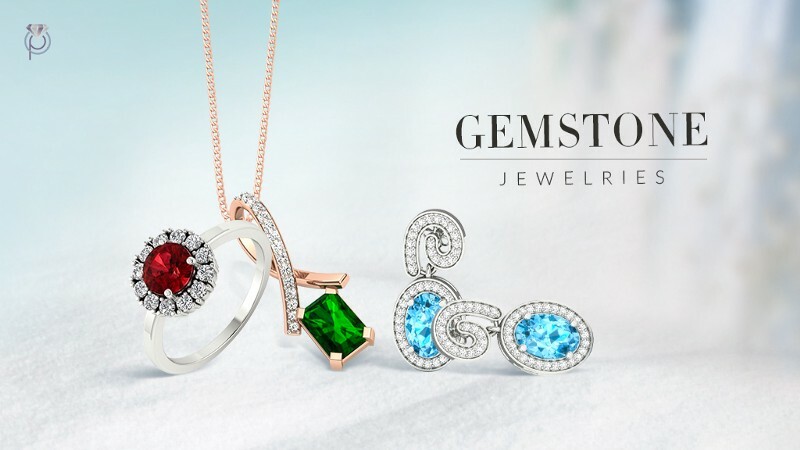 Now a days, jewellery studded with coloured stones have gained immense popularity in the contemporary era especially when it comes to buying engagement rings, wedding bands and other unique forms of fine jewellery. It is a fact that a real diamond easily and very nicely matches fits into all kinds of settings and metals, but when using a gemstone, the craftsman has to be very precise and careful about what kind of setting and metal along with its colour he or she selects. The following are a few tips that will help you select the ideal form of jewellery studded with a gemstone. The (Spanish Heart Ring) is the perfect example of the above claim- a blue topaz etched in a white gold ring in the form a of a solitaire. Gemstones that are warm in colour are a great match with yellow hued gold. 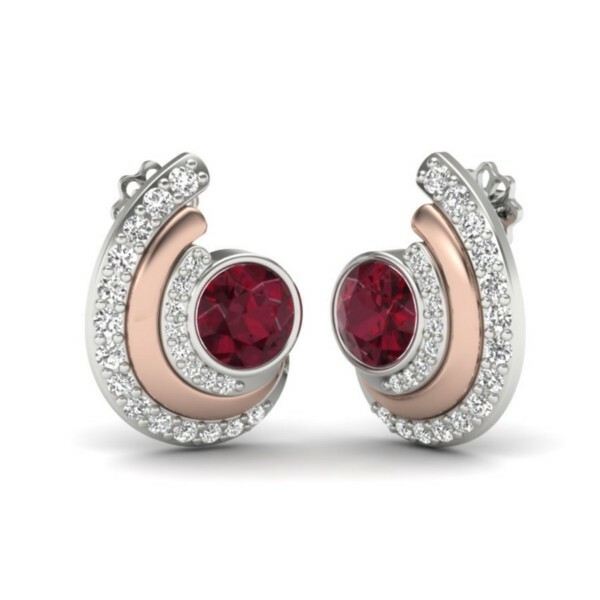 The citrine stone or the ruby stone forms a nice pair with the yellow metal. 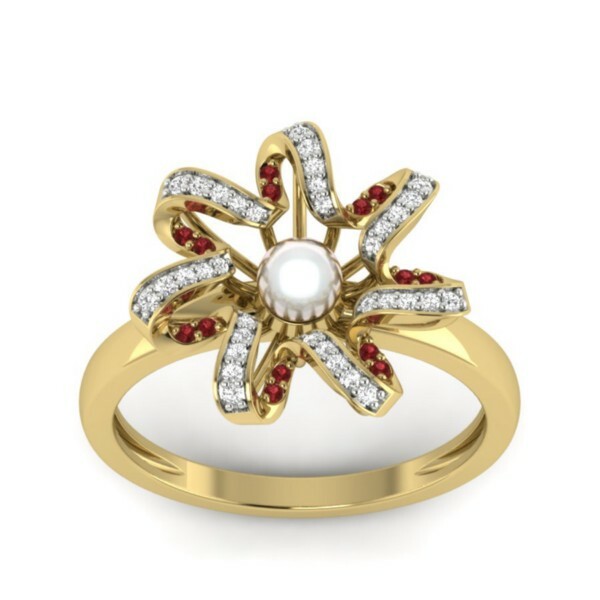 The Trisona Ring looks beautiful with yellow gold having Chinese Freshwater Pearl as its centerpiece surrounded with rubies and diamonds. Gemstones sometimes can also be used as a side stone in a ring or a jewellery that is dominated by diamonds just to make it appear a bit more vivid and unique with the ‘The trekle Engagement Ring’ being a nice illustration of it. Even though diamonds never seem to go out of fashion, there has been a substantial rise in the number of couples choosing gemstone rings for proposing their better half over diamond engagement rings. Different colours of stones depict different meaning and purpose and that is why it enables people celebrate their love in a unique manner. Perrian.in has come up with a wide range of gemstone rings and engagement rings studded with gemstones. We have gemstone solitaire rings available if you are looking to propose with a ring with single stone. The Veronica Ruby Ring is a must have if you are looking for something in that category. The best part about shopping online with Perrian is that we allow you to select the colour/purity of gold and colour/clarity of the stones and you can have a designer ornament in 36 different ways. Apart from this we have benefits like lifetimeexchanges, certified products, free shipping and easy return policies which will give you the best online shopping experience.